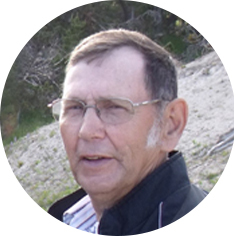 Bernard “Bernie” L. Thul of Rimbey, Alberta passed away at the Rimbey Hospital and Care Centre on Friday, January 5, 2018 at the age of 74 years. Bernie will always be remembered and sadly missed by his beloved wife of 39 years, June; his loving children: Josh (Liz), Jennifer (Terrance), and Jonathan (Alina); as well as seven cherished grandchildren: Will, Drake, Myia, Emma, Deacon, Delilah, and Quinn. He will also be lovingly remembered and sadly missed by his siblings: Helen (Art), Stan (Denise), Peggy (Ron), Debbie (Blair), Dan (Debbie), and Doug (Ronda); in addition to a special brother-in-law and sister-in-law, Wilf and Jean; and numerous nieces, nephews, other family members, and many friends. Bernie was predeceased by his parents, George and Evelyn; and one brother, Bob. Service and Cremation Arrangements for the Late Bernard “Bernie” L. Thul entrusted to the care of Oberhammer Funeral Chapels Ltd.